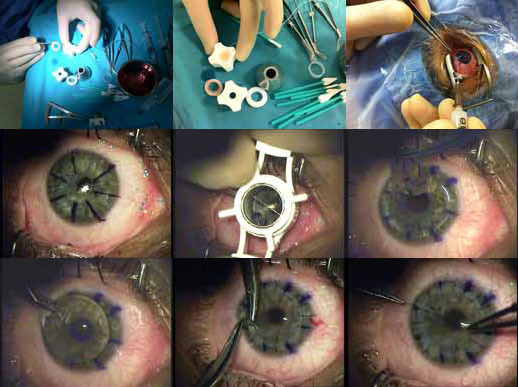 Cornea transplantation is the most frequently performed transplant worldwide. Approximately 20 000 cornea transplants are performed in the United States annually. In South Africa this figure is much less due to the lack of corneal donors. Corneal transplants have traditionally involved surgically removing the central diseased portion of a patient’s cornea and replacing it with a full-thickness donor cornea obtained from a recently deceased individual. 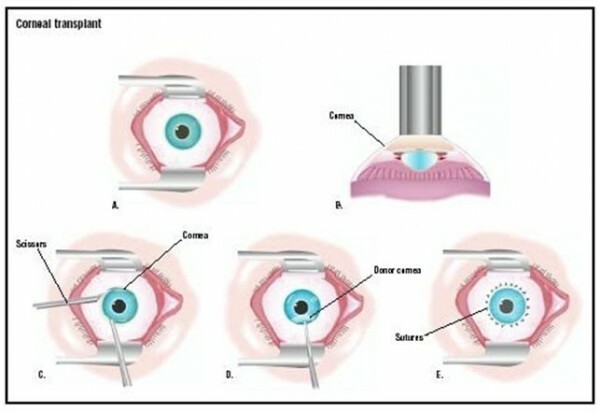 This is performed as outpatient surgery and takes more or less an hour or more depending upon what else needs to be done such as cataract removal, intraocular lens implantation, or repair of the iris. Recovery of best vision usually takes a year. The patient has a life-long risk of graft rejection. The main disadvantages to this surgery are the introduction of astigmatism and the unpredictability of the eye’s refractive error afterwards. This is because the curvature of the donor cornea is unknown prior to surgery and the corneal curvature greatly affects the eye’s refractive error.